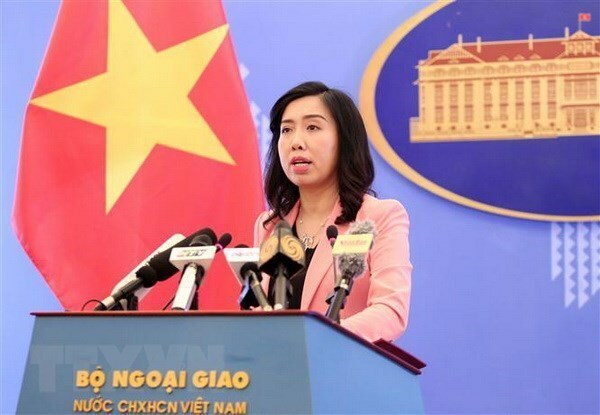 Hanoi welcomes the second U.S. - North Korea summit, planned to take place in Vietnam by this month-end, the spokesperson of the Vietnamese foreign ministry said on Wednesday. Responding to an inquiry over Hanoi’s comment on President Trump’s naming the place and date of the upcoming summit, Vietnamese Ministry of Foreign Affairs Le Thi Thu Hang said on Wednesday that Vietnam welcomes the meeting, and strongly supports dialogues to maintain peace, security and stability on the Korean Peninsula. Vietnam stands ready to actively contribute to and cooperate with relevant sides to ensure the success for the second U.S. - North Korea summit to help achieve that goal, the official Vietnam News Agency quoted Hang as saying. “Much work remains to be done, but my relationship with Kim Jong-un is a good one,” the U.S. leader said in his speech to Congress. But he did not name a precise venue. Trump and Kim met in a historic first summit in Singapore in June 2018.